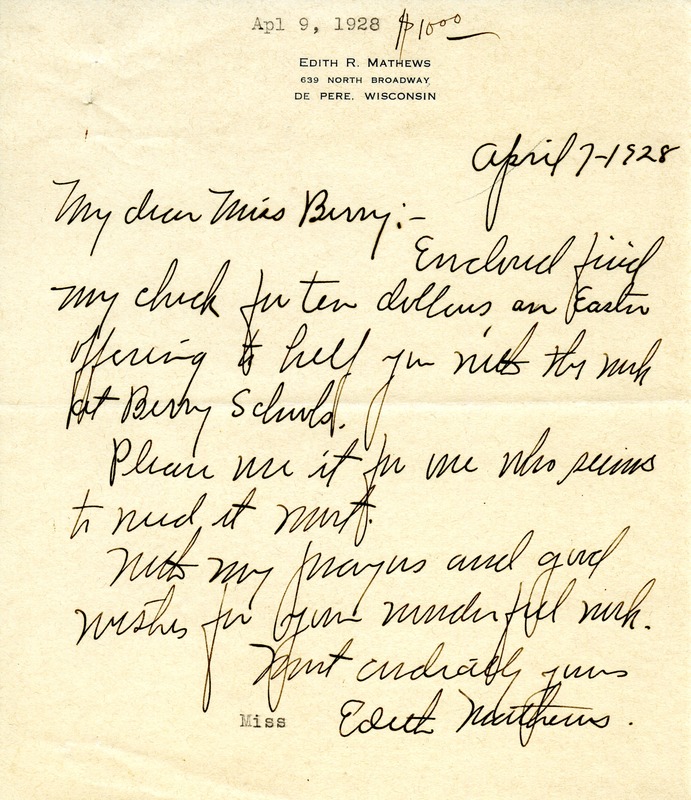 Edith Mathews writes to Martha Berry with a donation of ten dollars as an Easter offering to the Berry Schools. Edith Mathews, “Letter to Martha Berry from Edith Mathews.” Martha Berry Digital Archive. Eds. Schlitz, Stephanie A., Chelsea Risley, Aaron Jackson, et al. Mount Berry: Berry College, 2012. accessed April 20, 2019, https://mbda.berry.edu/items/show/8386.